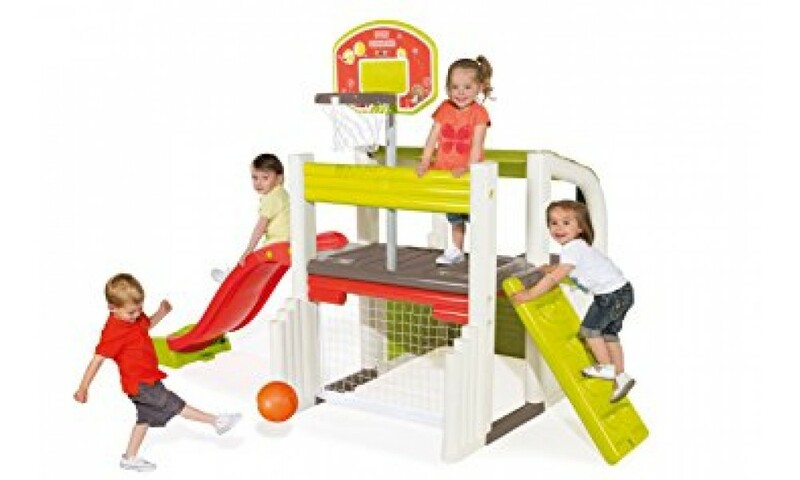 FUN CENTER has all equipments to play and to expert yourself! 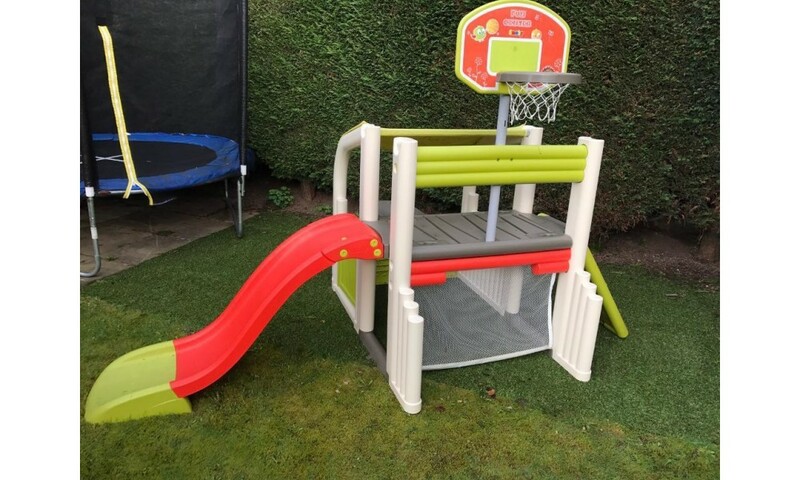 A house area with a small door, a picnic table with 2 benches and a fabric printed roof + a multisports area equipped with: 1 slide (slide length 1.5m), 1 basketball net, 1 football cage, 1 reversible wall (ladder or climbing). Delivered with a ball. The plastic structure is very sturdy & stable.